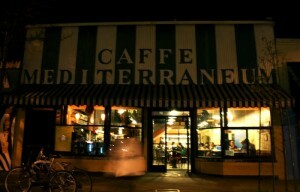 Party at Caffe Mediterraneum! (Let’s hope.) This cafe , located on Telegraph Avenue, is in the process applying for a permit to stay open all night. The Telegraph Business Improvement District likes the prospect of businesses staying open until late, making Telegraph a more lively street in the deep dark of night.